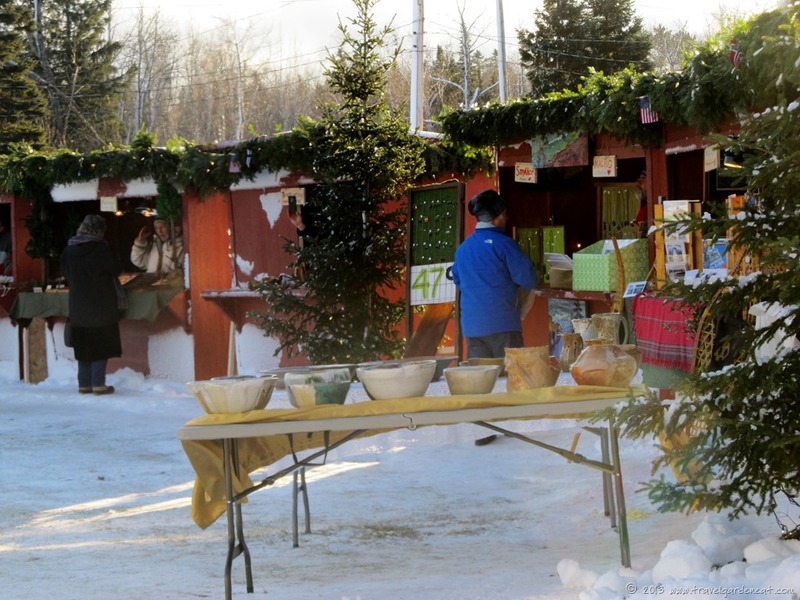 Julebyen on the North Shore – Travel. Garden. Eat. 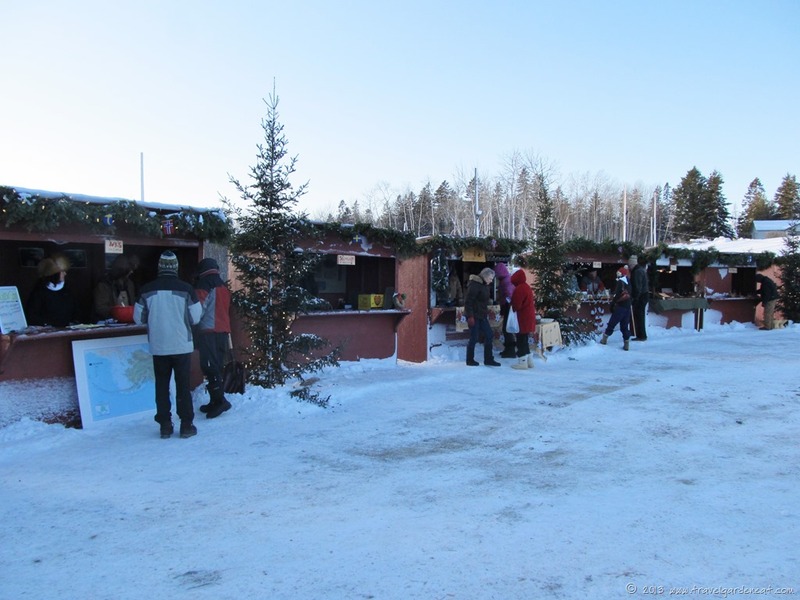 When the temperatures dipped below zero, Minnesotans still got out to enjoy a weekend of outdoor markets and festive activities at Knife River’s “Julebyen” (Christmas village). 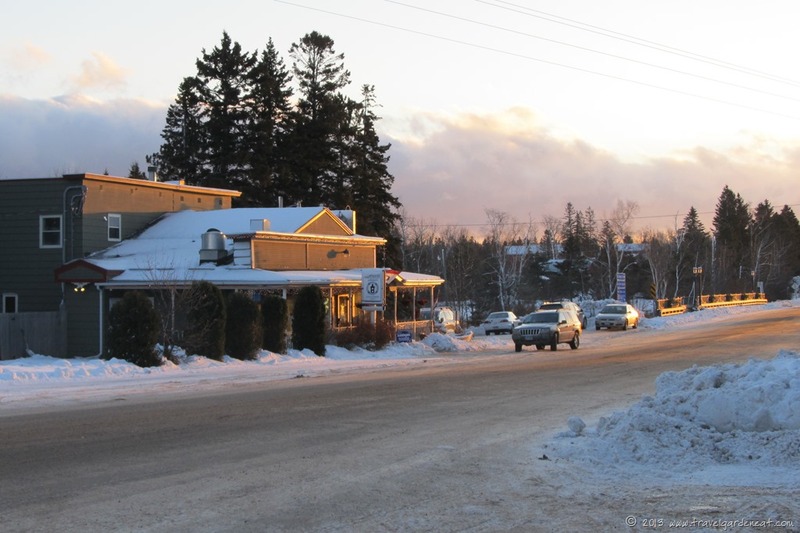 After winter storm Cleon blasted northern Minnesota with two to three feet of snow, Knife River — a small town along the North Shore of Lake Superior — forged ahead with their Julebyen event. 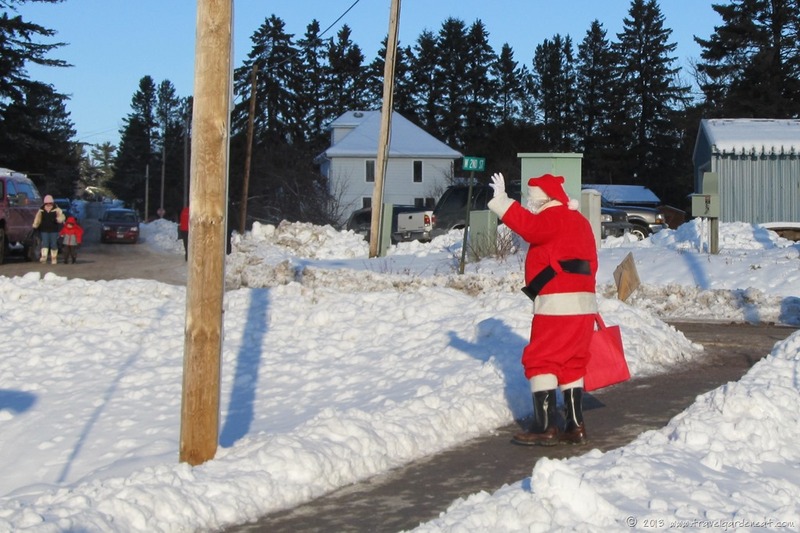 We arrived just as Santa was departing, but he had a wave and ho-ho-ho for the children watching with delight. 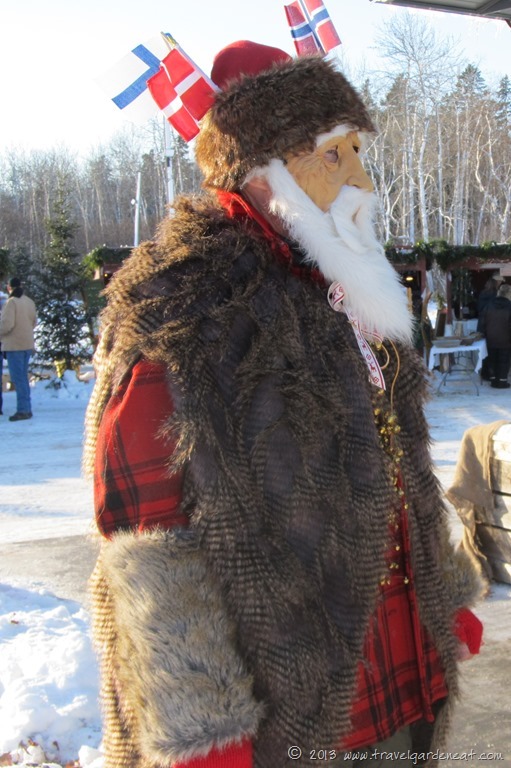 The gnome was still there to greet, along with other festive Nordic folk! The sun already was hanging low in the sky by mid-afternoon, and most of the crowds had dissipated with activities were in a lull between afternoon and evening schedules. 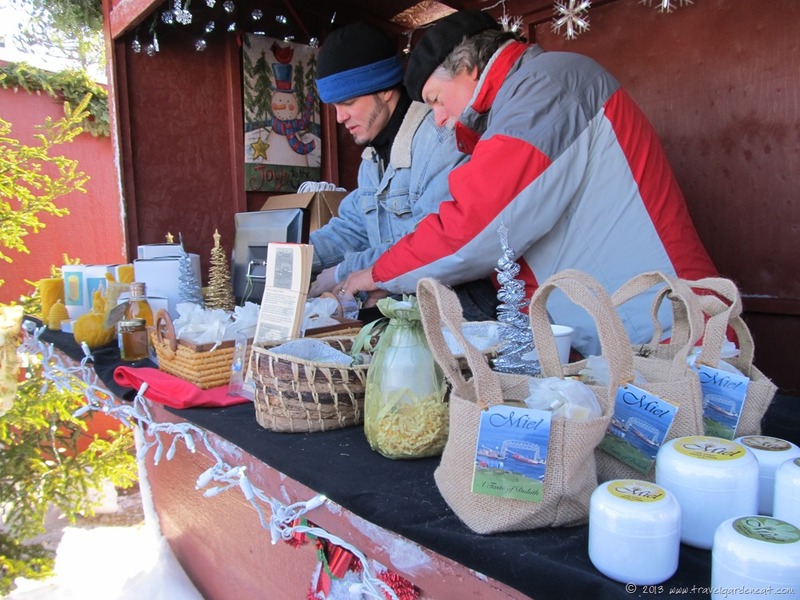 The outdoor market vendors were hardy folk, tenaciously displaying and selling their wares in the bitter cold! 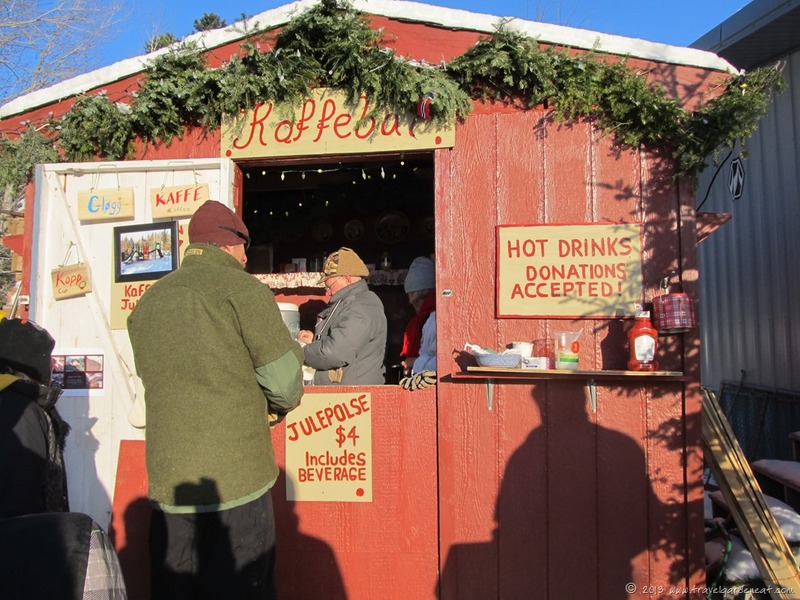 … or provided a spot of warmth where you could enjoy a hot beverage and Julepolse! 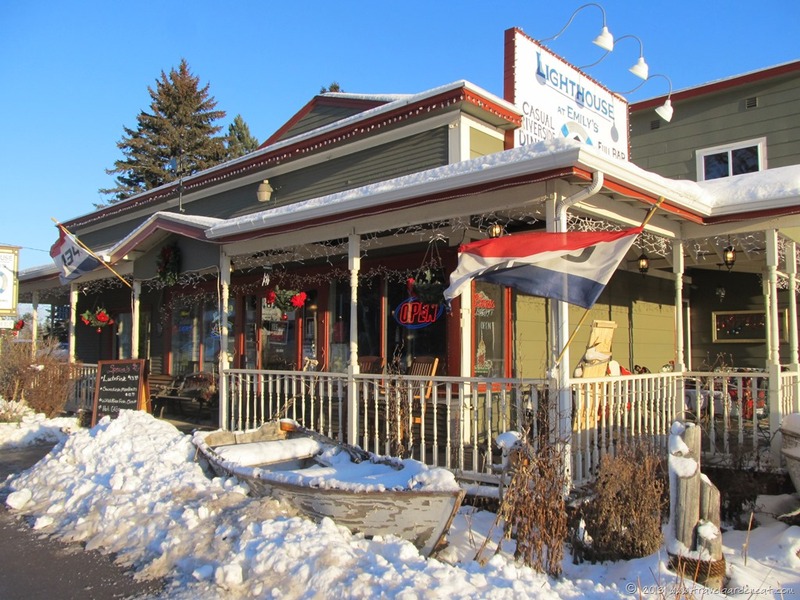 After a tasty mug of Swedish-style glögg (non-alcoholic for this family-friendly event), we headed down the road a few blocks to the Lighthouse at Emily’s restaurant. My oldest son, who perhaps has a small portion of Nordic ancestry from the paternal side of the family, insisted on trying their lutefisk special they were featuring as part of the Julebyen festivities. They also had the “real” glögg on the menu, which I kicked myself for not ordering (just another excuse for a return visit soon). 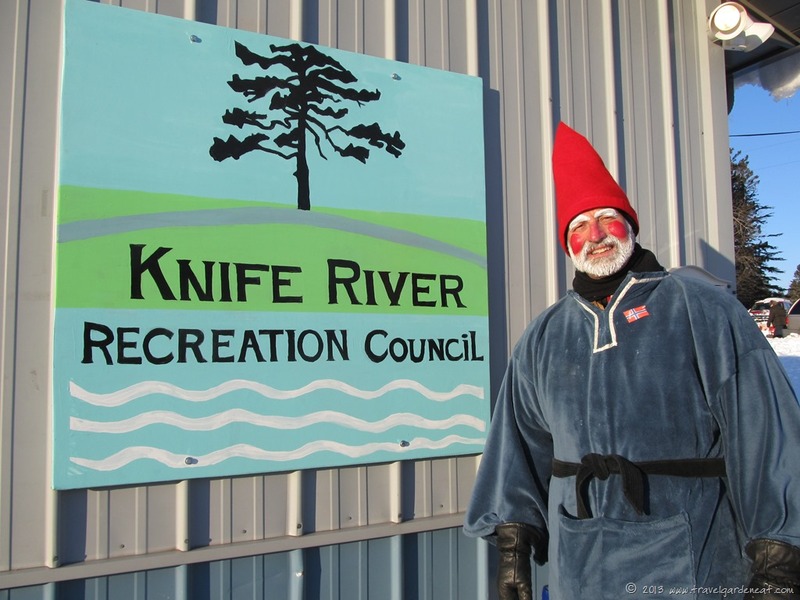 But, back to the main event — What is lutefisk, you ask? It depends on who you ask. Some say it is a holiday treat, while others make a repulsive face and let you know the fish soaked in lye can go back to where it came from. The history and culture of lutefisk in the United States is closely tied to the traditions of Upper Midwestern immigrants. Smithsonian magazine published an interesting article on this “Strange Holiday Tradition” if you are interested in learning more. 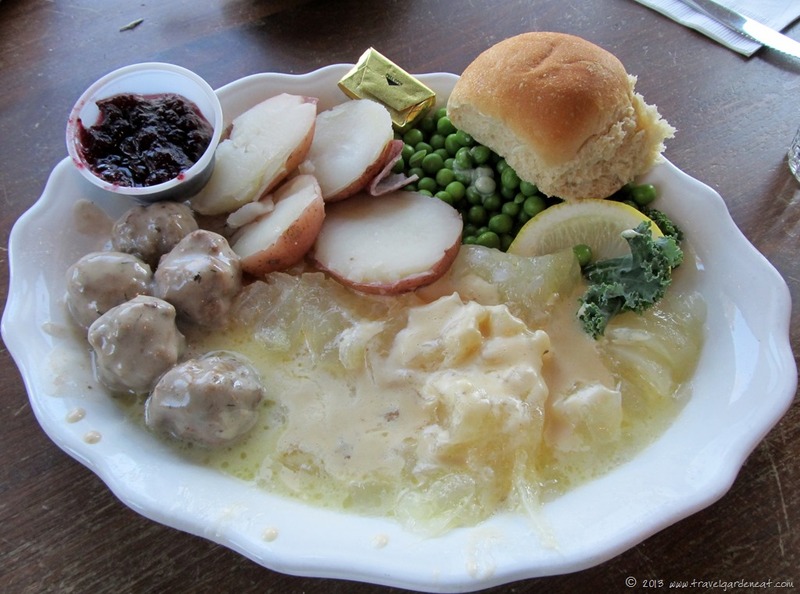 My son ordered the festival’s “Combination Platter” — lutefisk and Swedish meatballs! Quite the feast. His pronouncement regarding his inaugural lutefisk dinner? He decided it was not something he needed to have again. The Swedish meatballs (featured at the Lighthouse on Thursdays!) are a more likely repeat order. 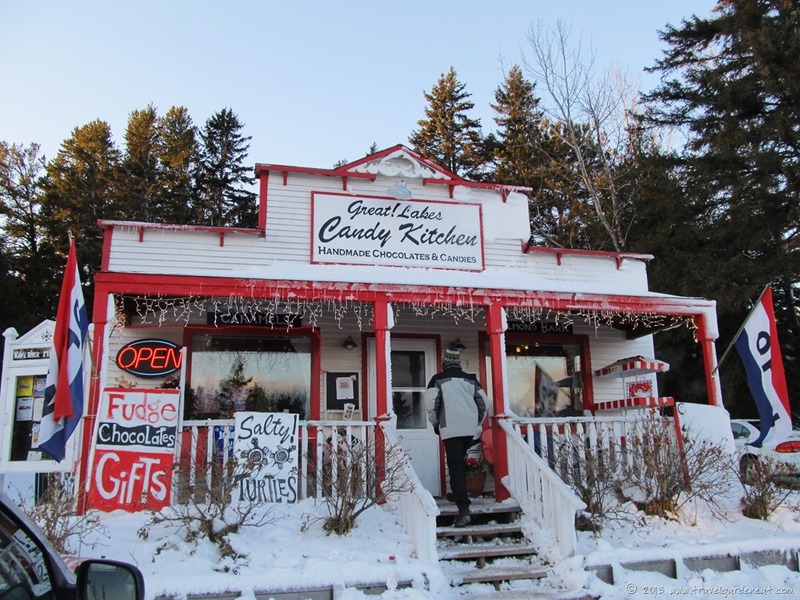 After our early dinner, we crossed the highway to the Candy Kitchen — once you are in Knife River, you cannot leave without a visit to this delightful shop. 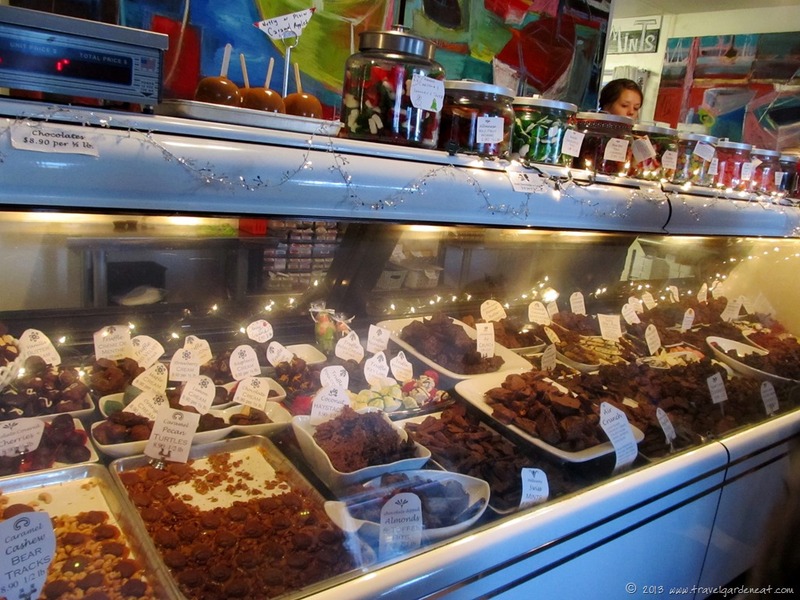 The Great Lakes Candy Kitchen is a postage stamp-sized interior filled to the brim with classic candies, homemade chocolates, and the most inviting fragrances always wafting from the kitchens at the back of the house. After selecting some Christmas chocolate treats to give as gifts, we exercised great control on this visit and merely selected the cutest little marzipan mice to eat on our way out. The steam clouds forming over Lake Superior created a low-hanging backdrop for the late afternoon sun, as we again walked back to the Lighthouse to retrieve our car. 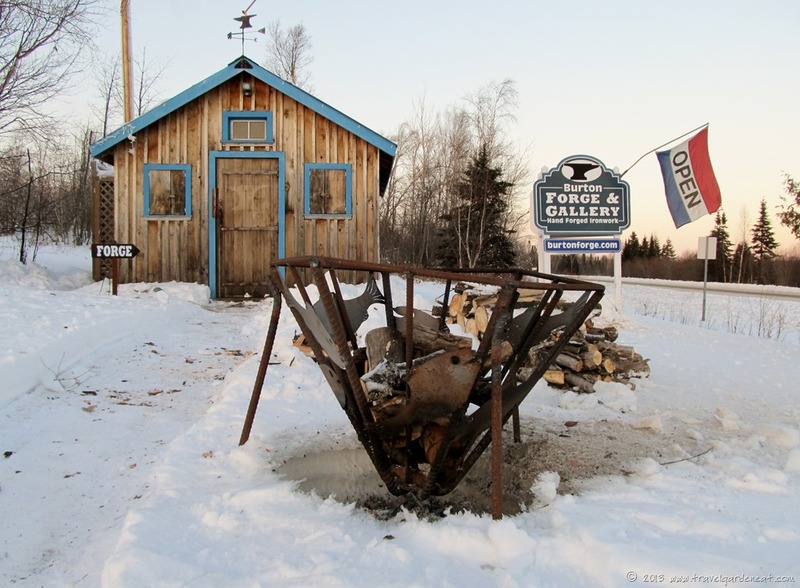 One more stop before we returned home again — our favorite blacksmith, Burton Forge. 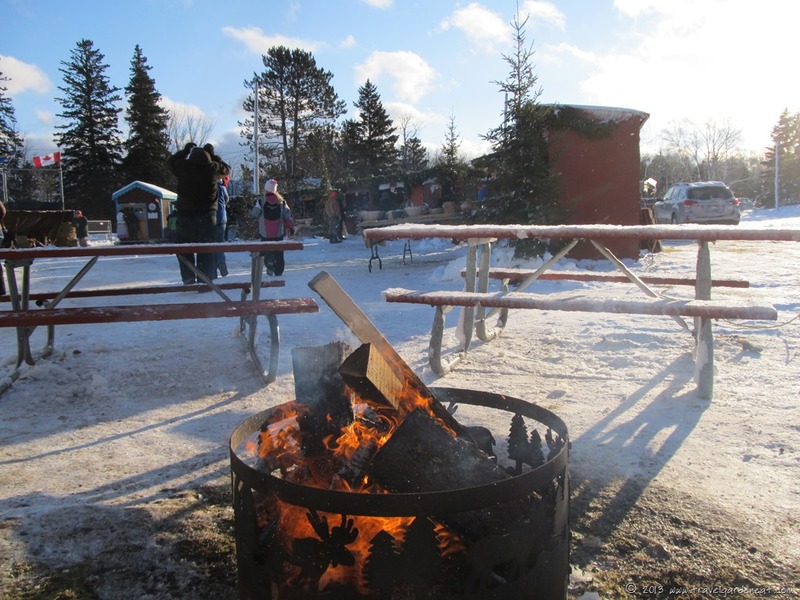 The festival activity at this quaint shop was to include an outdoor fire with marshmallow roasting. Given the sub-zero temps, the option was given instead to roast marshmallows over the fire in the wood stove inside! While we passed on the offer, we enjoyed browsing Dale’s latest creations, always managing to find a little something which is both functional and artistic to add to the cabin. With the sun setting, and the sky glowing pink, we turned for home. We have found over the years that the best way to endure the bitterly cold temperatures and often extended winters is to simply embrace them — by enjoying outdoor activities and winter festivals like Julebyen. 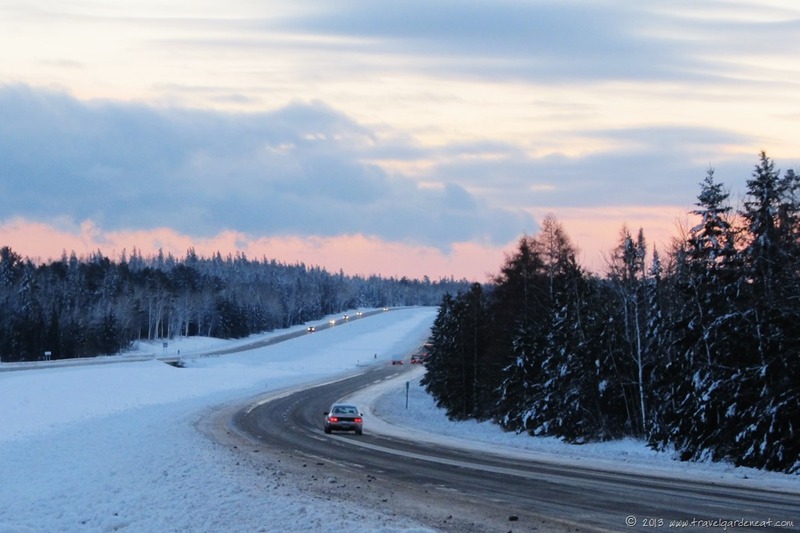 You can see why Santa calls the Arctic Circle home — what great photos! I am chilled to the bone just reading about your day, Kat. But you are right – simply embrace it. Glad you had such a wonderful day! You would simply go stir-crazy if you don’t find some way to get out once in awhile. Has been a long stretch of too many too cold days this month! I think we are in for a long winter! This looks like an enchanting Christmas celebration, Kat. Thank you for sharing! We would definitely return. Something so festive about the outdoor fire with the little market kiosks. We purchased a couple of pottery mugs and had them promptly filled with hot chocolate or cider to sip on while we wandered. Great fun. 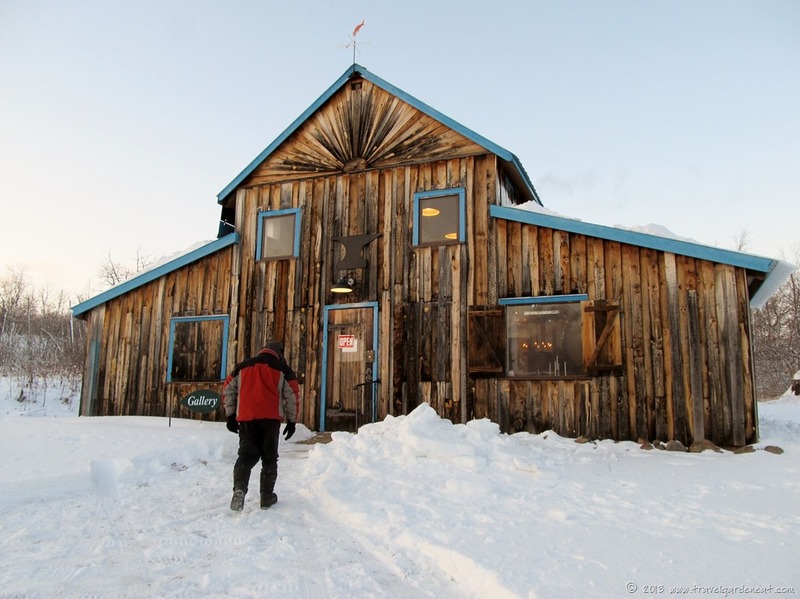 Pingback: Salmon Fit For the Holidays | Travel. Garden. Eat. It looked lovely actually although I have never had it ! I should have been braver and taken a bite, but it simply had no appeal to me despite how lovely it was presented! I kind of agree !